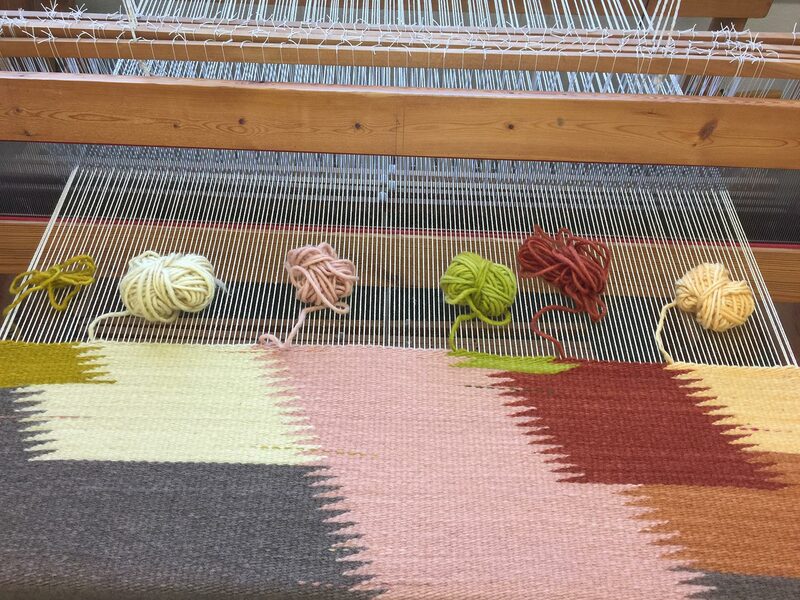 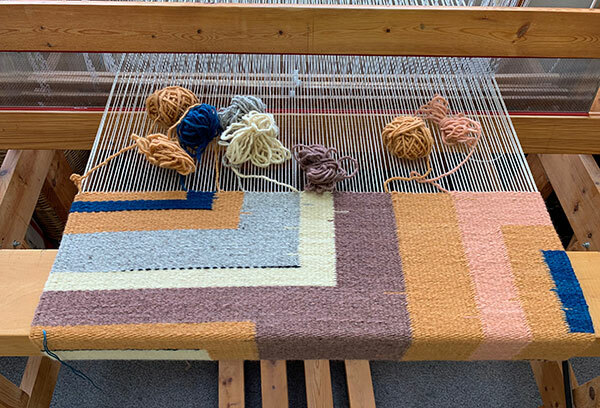 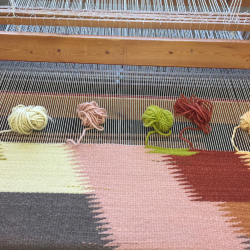 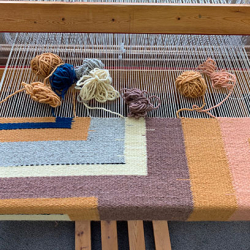 This is a variety of different rugs and table runners on the loom or being finished. 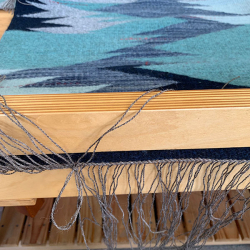 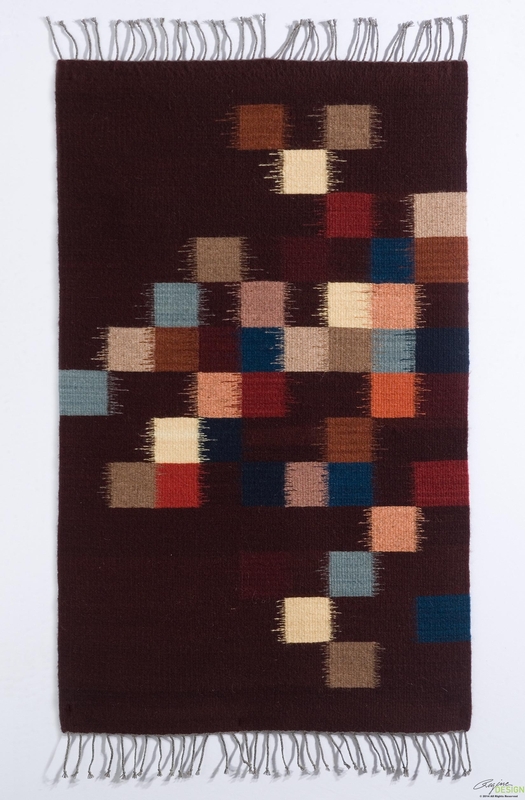 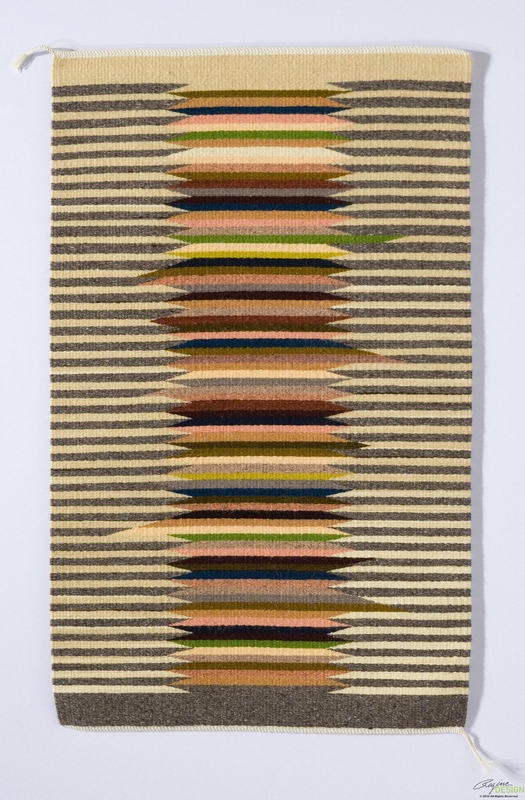 Depending on the design and size of the weaving, each one takes a different amount of time to create. 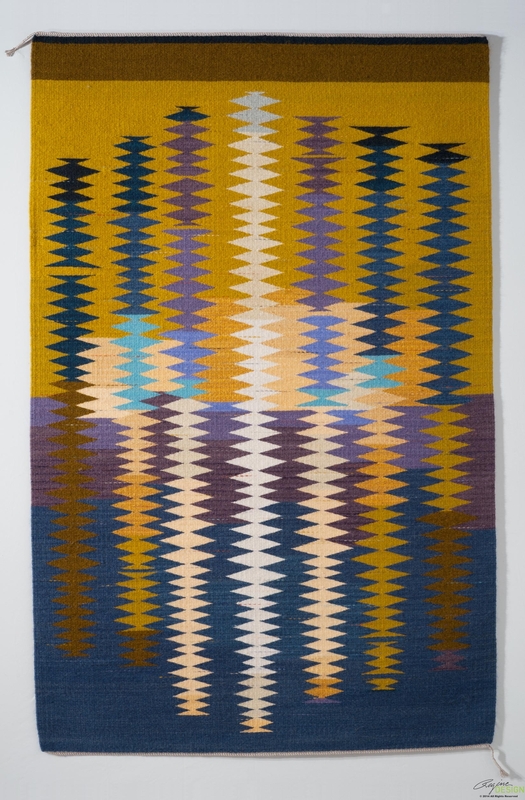 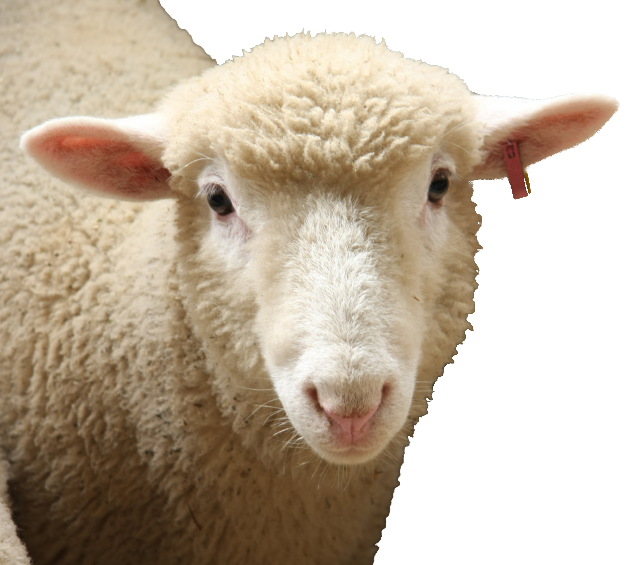 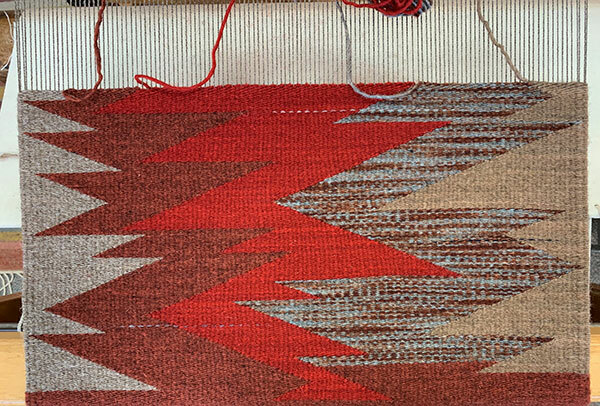 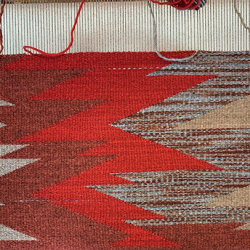 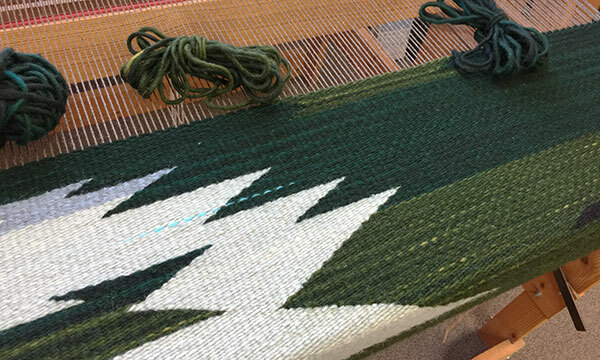 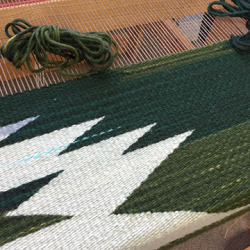 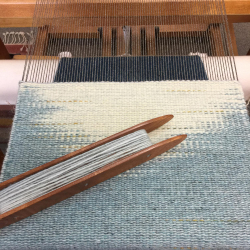 The more design and color work, the longer the weaving process. 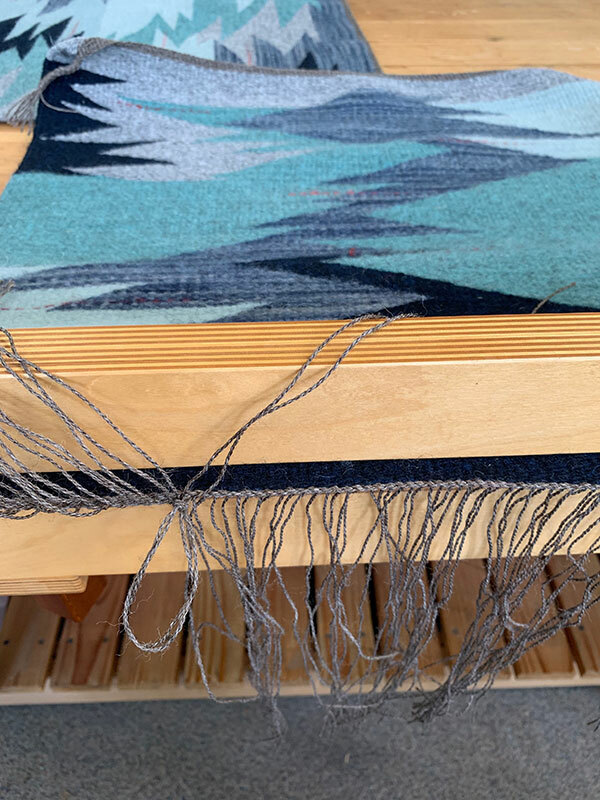 Please come by on a First Saturday to see how they’re coming along or see the finished piece! 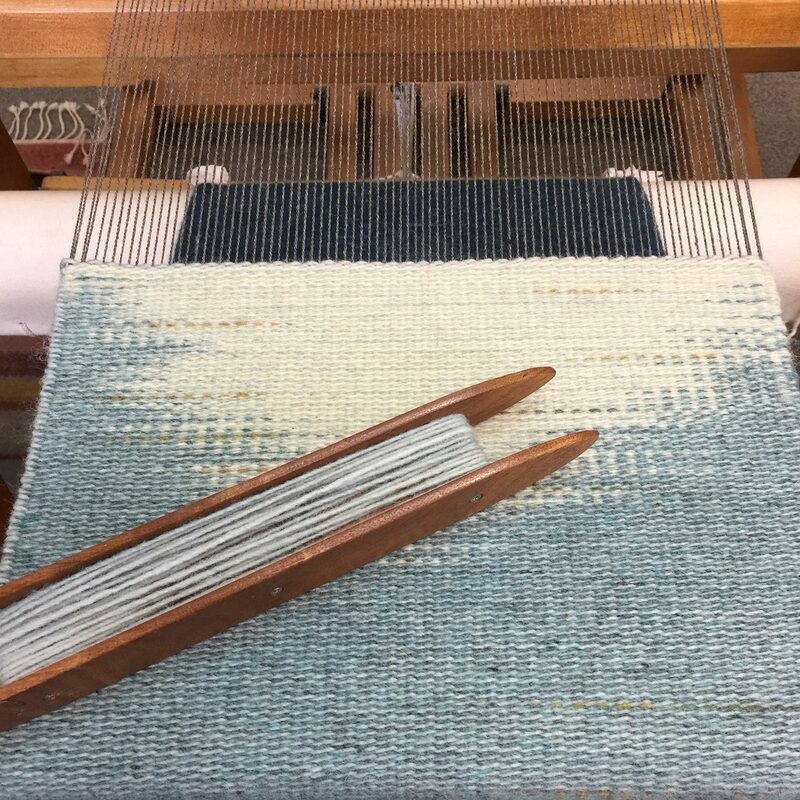 See my Events page for dates I will be available for open studio.